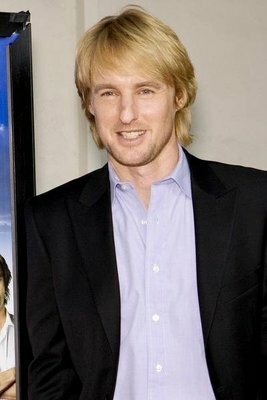 Actor Owen Wilson and wife recently split over commitment issues, the National Inquirer reports. The two recently became parents, but that hasn’t stopped Duell to leave the Marley and Me star in Santa Monica, while taking the baby and moving to New York. The National Inquirer says that Wilson and Duell had different opinions on what married life means. Wilson wanted to spend more time with his friends, both male and female, while still being a father to his son of five months old and a husband to his wife, Jade Duell. Apparently, he wanted more freedom to do whatever he wants and his wife wouldn’t go for that. The couple reportedly decided together to end the relationship, as Wilson did not want to go cheat on the mother of his child, sneaking behind her back. Owen Wilson, and Jade Duell, announced they were a couple and were expecting only a few days before she gave birth to a baby boy, in January. They reportedly met on a flight. Duell was an air marshal. Owen told Access Hollywood that having a baby had changed his perspective and he already had a strong bond with his son. ‘I was never like somebody who was like, ‘Oh gosh, it’s a little baby! Let me hold it’, ‘They’re so fragile, but then when it is your own, all of a sudden you feel a lot more confident” the Wedding Crashers star said. You really do have this bond, this real connection with this thing that a month ago wasn’t even here It is strange… Their cries are like beautiful music. The same sensitive Wilson shocked the media and the entire world four years ago when he attempted suicide after Kate Hudson left him. Little by little, he got back on his feet and returned to his acting career. This summer, you can see Owen Wilson in Midnight in Paris. He is also the voice of Lightning McQueen in cars 2 which hit the theaters June 24. Lame on his part. I lost all respect for Owen. He is a selfish person just like the majority of men. Owen is a good person, and will do the best he can as a father. They aren’t married btw, just thought you’d like to know.